Home » How to clean the white marks on the shoes caused by the snow, water o salt? The past weekend was the World Snow Day and some ski resorts took the opportunity to organize promotions and different activities. Did you go to one of them? Did you recently enjoyed skiing or playing with the snow with your family or friends? If now your shoes, due to the snow, water o salt, have white marks on them, don’t worry, you can eliminate them without causing any damage to the original color. How? 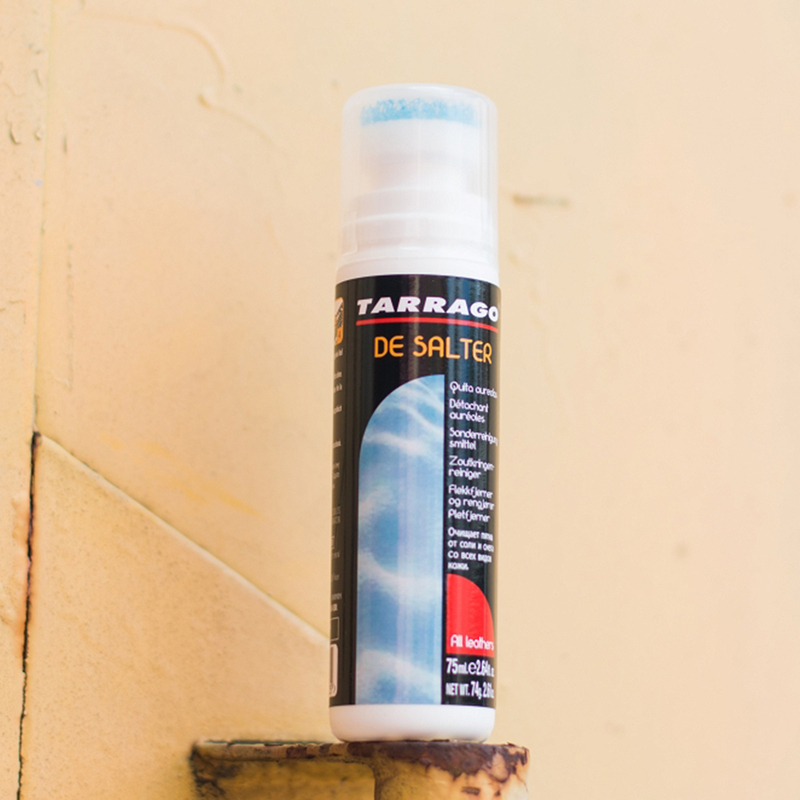 Using our Tarrago De Salter, a special soapy solution that can be applied on any color and is suitable for smooth leather, synthetic leather, suede, nubuck and textiles. Your shoes will look as new again! We explain you how to apply it in 4 steps. Keep in mind that we recommend to always perform a test in a hidden part of the shoe before using it. 1. Shake the container vigorously. 2. Soak the sponge by pressing softly over the shoe. Rub the entire surface. 4. Remove the foam with a damp cloth. This is it! Fast and easy! 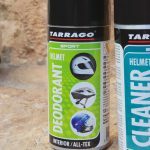 Why is Tarrago De Salter perfect to use in these cases? Because it is made with a special formula enriched with non-anionic surfactants that provide specific and deep cleaning. Its foamy texture and its sponge applicator allow a practical and easy use. 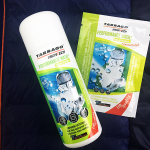 If you use this product, remember to post a picture of the before and the after in your social media with the hashtag #Tarrago or #TarragoDeSalter. We will love to see the difference!